Check out Tobi's Georgia Knotted Top Wherever the weekend takes you, bring the Georgia White Knotted Top along for the ride. 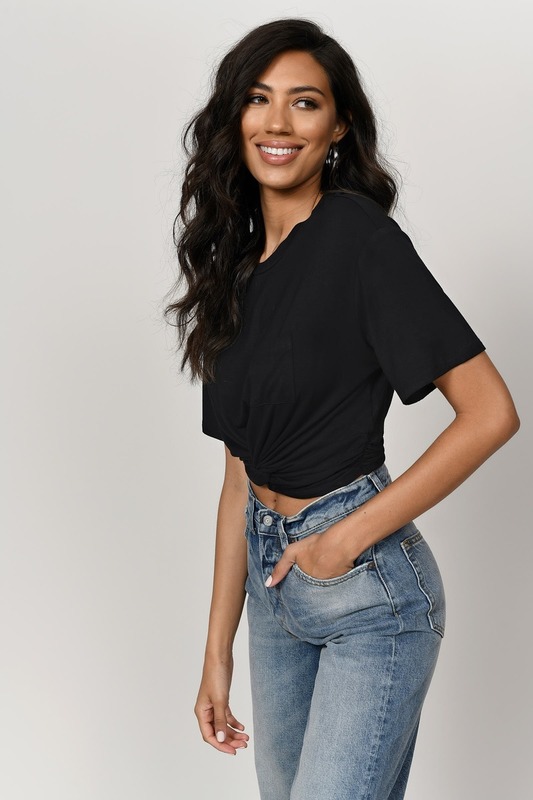 This knot front crop top features a front tie knot, chest pocket, and an elastic band at the waist on a soft rayon knit. Seek the sun in this twisted shirt and pair it with short shorts. Wherever the weekend takes you, bring the Georgia Charcoal Knotted Top along for the ride. 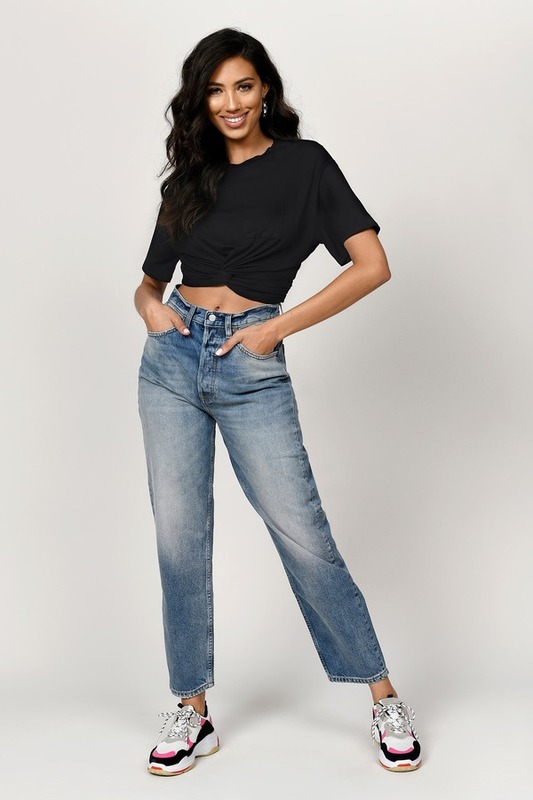 This knot front crop top features a front tie knot, chest pocket, and an elastic band at the waist on a soft rayon knit. Seek the sun in this twisted shirt and pair it with short shorts. Wherever the weekend takes you, bring the Georgia Black Knotted Top along for the ride. This knot front crop top features a front tie knot, chest pocket, and an elastic band at the waist on a soft rayon knit. Seek the sun in this twisted shirt and pair it with short shorts. Wherever the weekend takes you, bring the Georgia White Knotted Top along for the ride. 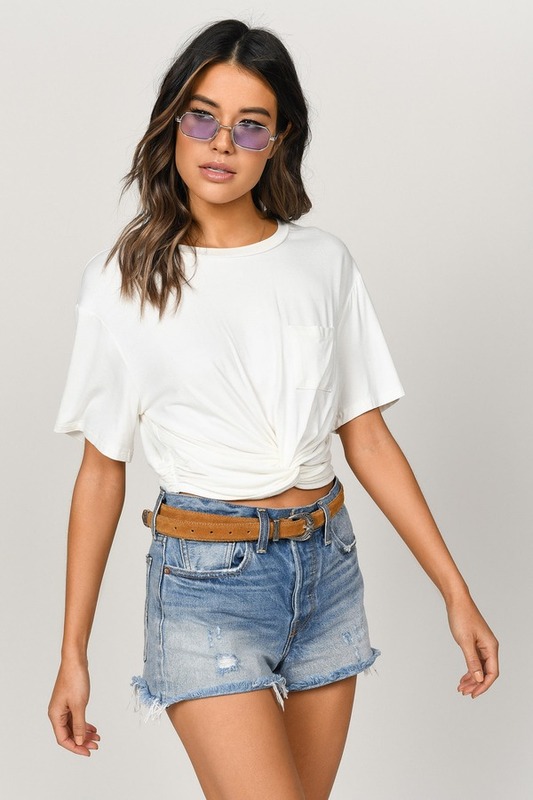 This knot front crop top features a front tie knot, chest pocket, and an elastic band at the waist on a soft rayon knit. Seek the sun in this twisted shirt and pair it with short shorts. Charcoal, White modeled on a size Small.